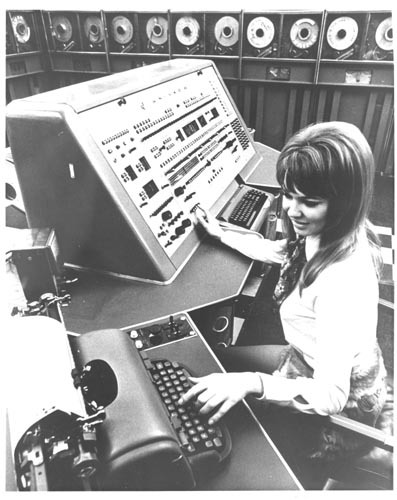 Black and white image a woman seated in front of the UNIVAC I console. In the background are UNIVAC tape drives. On the right next to console is a typewriter. She has her left hand on the typewriter keyboard and her right hand on a console switch.